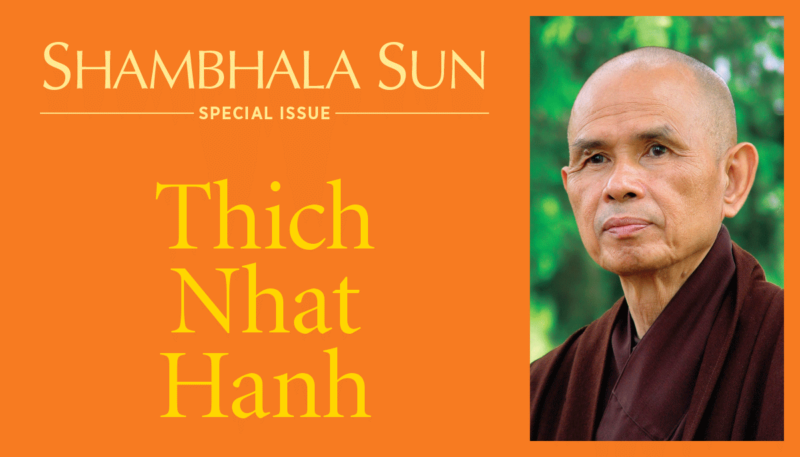 It’s our honor to dedicate the January 2016 issue of the Shambhala Sun to one of the great Buddhist teachers of our time, Thich Nhat Hanh. 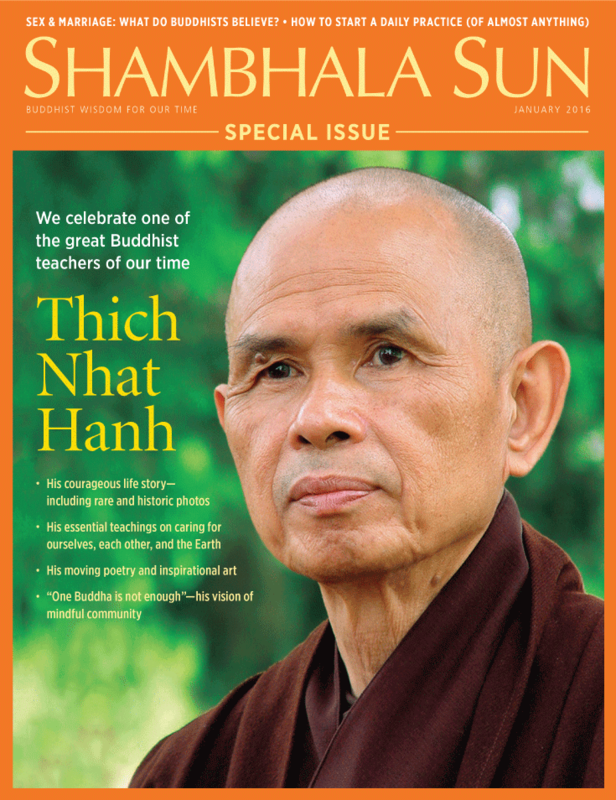 This special issue celebrates his courageous life, his helpful teachings, his beautiful art and his profound legacy. 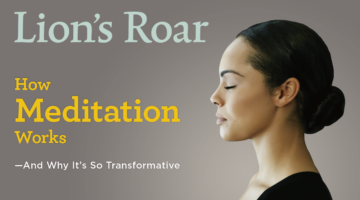 Rachel Neumann takes you to Thich Nhat Hanh’s community in southwest France, where you’ll meet his closest collaborator, Sister Chan Khong, and members of the new generation of teachers and practitioners who are putting his teachings on mindfulness and compassion at the fore of their lives every day. Songs and poems by Thich Nhat Hanh, matched with his famed inspirational calligraphies. 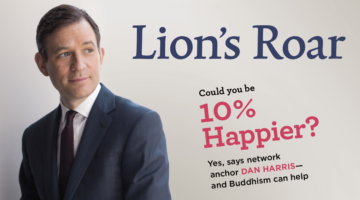 Do you think of Buddhism as religion, philosophy, or psychology? Online: Charles Prebish, Dzogchen Ponlop Rinpoche, and Joan Sutherland debate the question. Do Buddhists follow prescribed rules regarding marriage or sexuality? Do Buddhists believe in heaven and hell? 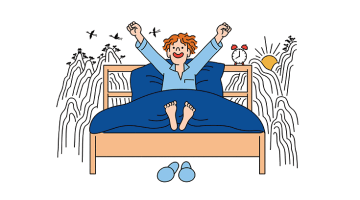 I’ve been reading a lot of Buddhist books and now I want to find a teacher. How do I go about it?